Hemmed into the Adriatic by Croatia, Italy, Austria and Hungary, Slovenia is an earthly paradise of snow-capped peaks, Venetian-looking coastlines, cosmopolitan cities, and a myriad of natural treasures. 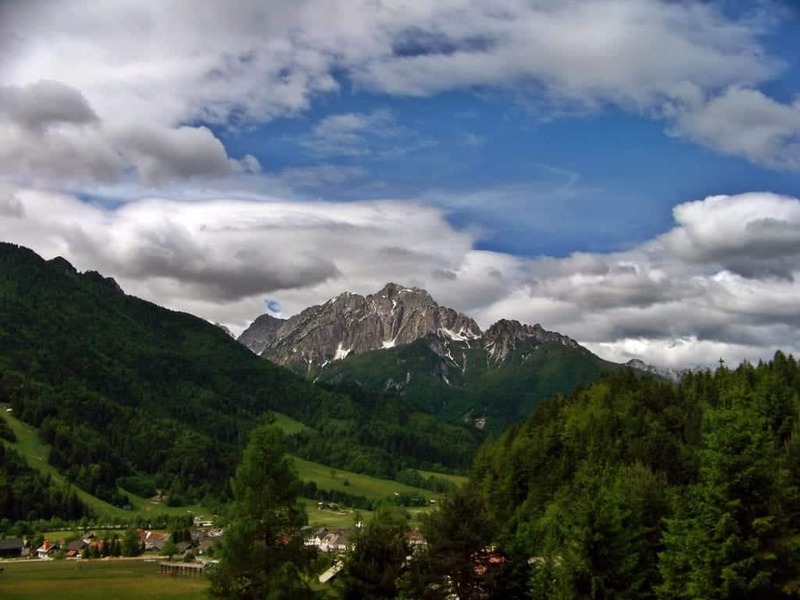 Slovenia is located at the intersection separating the German, Italian, and Slavic worlds, making this small but lovely country an exciting mix of the best of each culture. When visiting Slovenia, you will find a lot of remnants of Habsburg, Slavic, and Venetian architecture lined in perfect harmony and amazing food similar to the one you will find in other Slavic nations but yet still different. 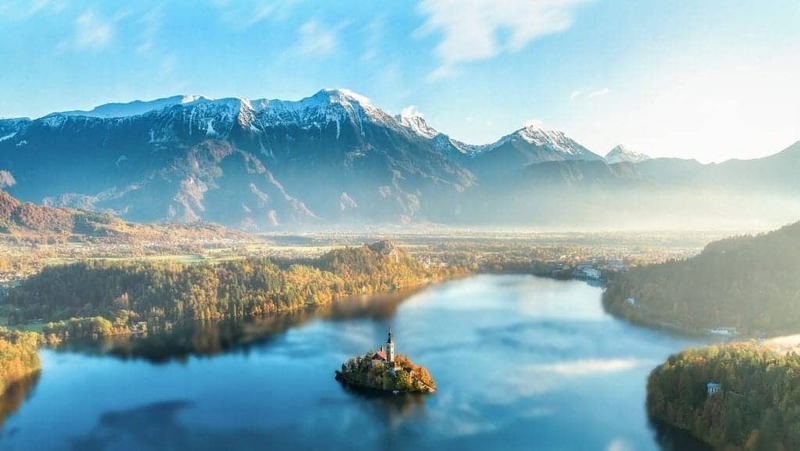 However, despite its perfect location in Central Europe, it wasn’t until recently that Slovenia started gaining the attention of international travelers. 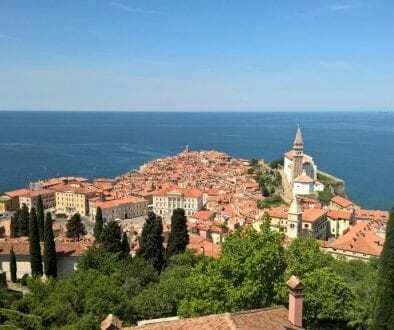 Many people are visiting Slovenia only for a couple of days on quick day trips from Munich, Salzburg, Venice or Vienna. And most of them wish they spent more time in the land of the Sunny Side of the Alps. What makes Slovenia so special? Slovenia was administered by German-speaking Habsburg overlords for over 5 centuries, all the way to 1918. Slovenians absorbed the culture of their rulers but managed to retain their strong sense of ethnic identity and their Slavic language. That’s why other Slavic people often refer to Slovenians as Slavs with a German temper. Furthermore, Slovenians managed to avoid a more serious conflict back in 1991 when Yugoslavia fell apart. Afterward, Slovenia quickly integrated into the European Union and joined the Eurozone in 2007. Today, Slovenia is one of the countries with the best living standard in Europe. Also, according to a UN survey of 2017, Slovenia is the world’s most sustainable country. 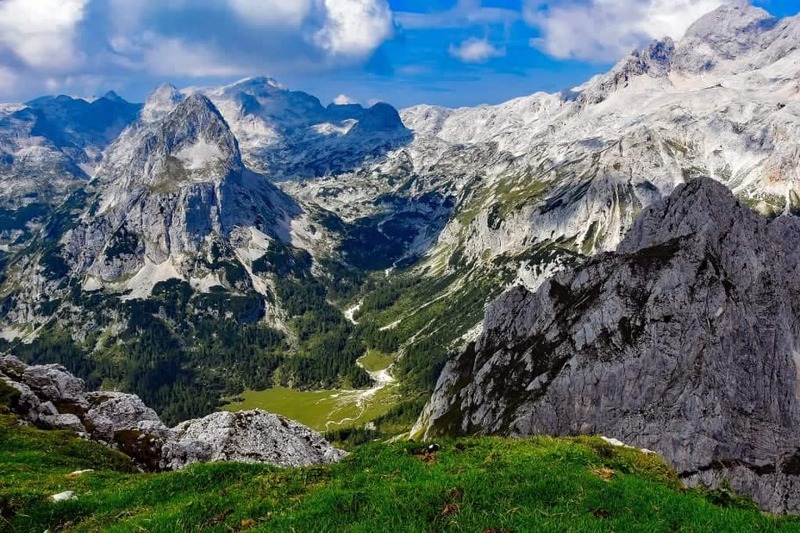 Additionally, despite being one of the smallest countries in Europe, Slovenia has a 7,000 kilometers of hiking trails, massive caves, the cheapest ski resort in Europe, a surprisingly large population of brown bears, and it even has a 30 miles long coastline in the Adriatic. Make sure you check the visa requirements. If you come from a European country, you can enter without a visa. There are several other nationalities that can stay up to 60 days without obtaining a visa. Make sure to sort out your visa before departing as Slovenia still doesn’t give visa on arrival. There are multiple bus companies that provide bus rides to most cities and villages across the country. However, keep in mind that the bus lines have a limited service during weekends. The trains are a bit worse compared to the ones in Slovenia’s western European neighbors but still more than decent. Slovenia still has a few steam trains and riding in one was an awesome experience. However, the most flexible way of getting around Slovenia is hiring a car. There aren’t many buses and trains that can take you to the remote areas and trust me, those are the most beautiful parts of Slovenia. If you’re driving with your own car or motorbike, you should know that all vehicles driving on Slovenian motorways must carry a vignette. Besides the typical hotels, motels, and hostels, Slovenia has a couple of more popular accommodation options. One is the campgrounds, which are a great budget option if you want to stay in the remote countryside locations. In most places, you can choose between bungalows and tents. The other popular option is farm stay. This is an amazing alternative, as you can stay on a farm in the countryside for free in exchange for helping the hosts with the chores. This way, not only do you get free/very cheap accommodation but you also get to experience the rural life. Like I mentioned in the beginning, Slovenia’s cuisine borrows influences from Western European cuisines, Hungarian, as well as Balkan cuisines. Most of the meals are meat-based, with veal, beef, and pork being the most popular. Cured meats are also loved among Slovenians and similar to other Balkan countries, you will find some amazing and cheap bakeries. If you’re a vegetarian, you might struggle in Slovenia but there are more options, especially in recent years. As for the drinks, Slovenia is a big wine producer. The most famous wine-producing region is the Primorska region. Slovenians also love beer and the two most famous local brands are Zlatorog and Union. 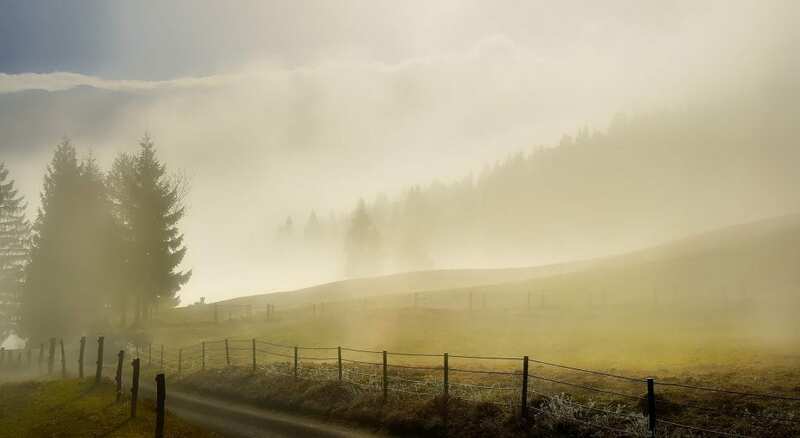 Slovenia has warm summers, pleasant springs and autumns, and pretty cold winters. The average temperature in the summer is around 20 °C and the average winter temperature is -3°C. If you’re a nature lover, the best months to enjoy nature are April and May, when the spring starts. If you would like to visit the sea coast, the best time would be July/ August. September is a great month for hiking and the winter months for skiing and other winter sports. 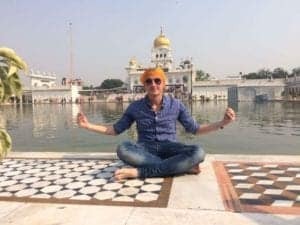 Related: why should you consider backpacking Europe in the winter. According to a report by The Post Office, the cheapest ski resort in Europe is Slovenia’s Kranjska Gora. The cost of equipment hire, lift passes, ski lessons, and lunches for a family of 4 people for a week costs around $1,200. Just for comparison, the average cost for the mentioned categories in most Swiss resorts is around $2,500. Slovenia has some stunning lakes that will take your breath away. 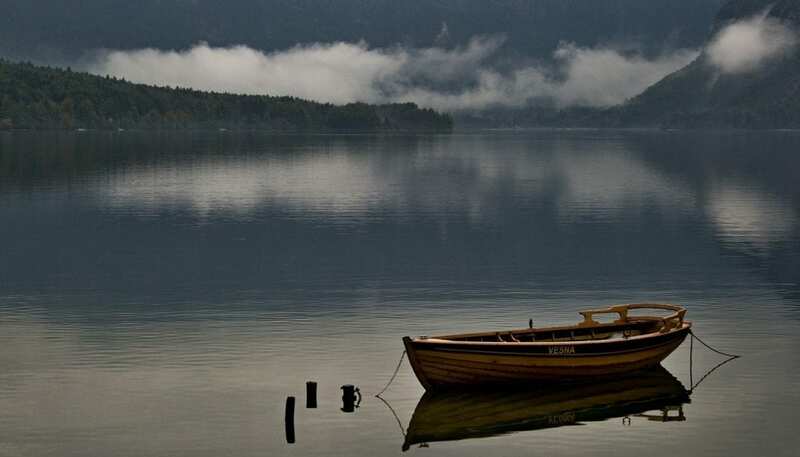 The biggest lake is Lake Bohinj, located in the Julian Alps, in the Triglav National Park, which is, by the way, one of the most beautiful places in the country. Another divine lake is Lake Bled. Located in the northwestern part of Slovenia, Lake Bled is one of those places where anyone can be a photographer. The lake is surrounded by lush green forests and it has a small, green island in the middle with a 17th-century church with 99 stone steps leading to the building. 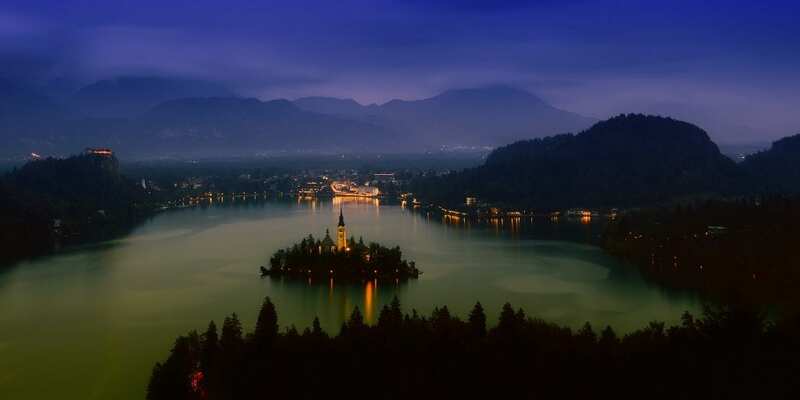 Also, check out this article if you’re planning to visit Lake Bled in the winter. 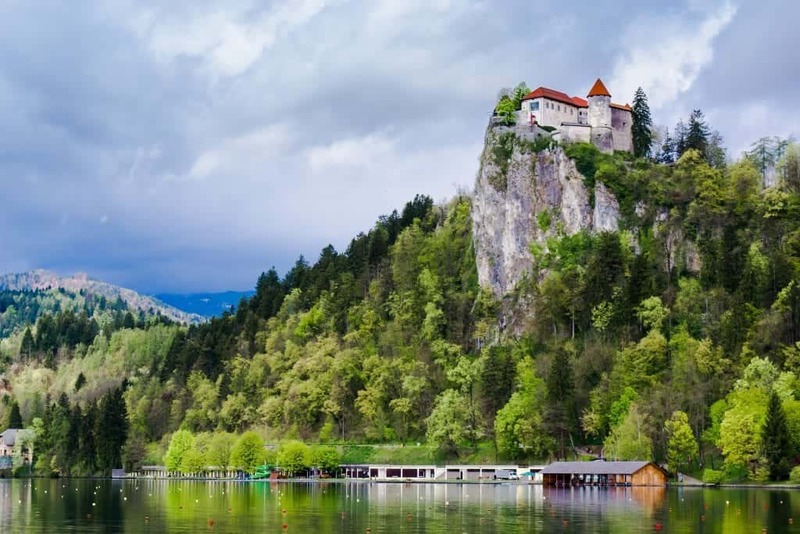 Slovenia is a home to four World Heritage Sites and one of them is the Škocjan Cave. This is one of the largest underground canyons in the world. Škocjan hides four miles of underground passages, waterfalls, and vast chambers. 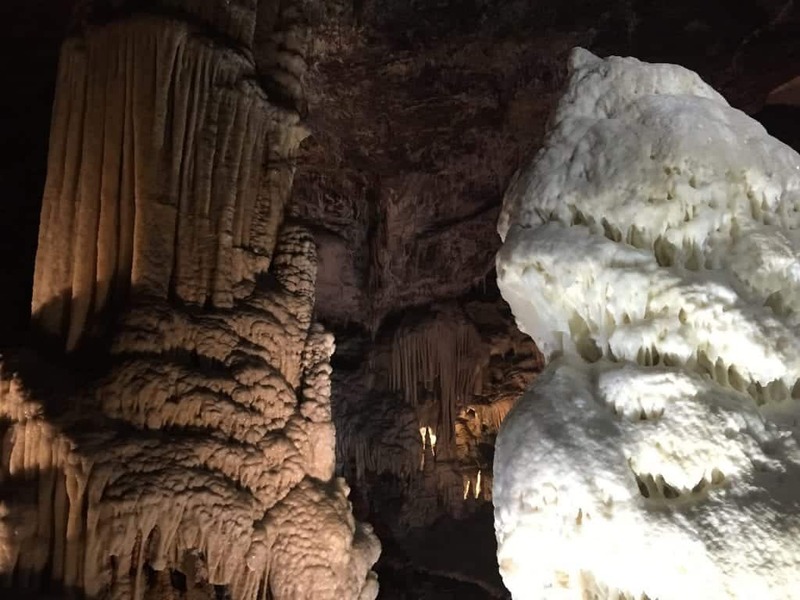 Another stunning cave is Postoinska Jama, one of the most visited sites in Slovenia. This cave is 20 kilometers long and it is a home to the endangered Proteus anguinus, commonly known as the human fish because of its skin color. 53% of Slovenia’s territory is protected by the government. The only country with a higher percentage of protected land in the world is Venezuela. But that’s a different story. 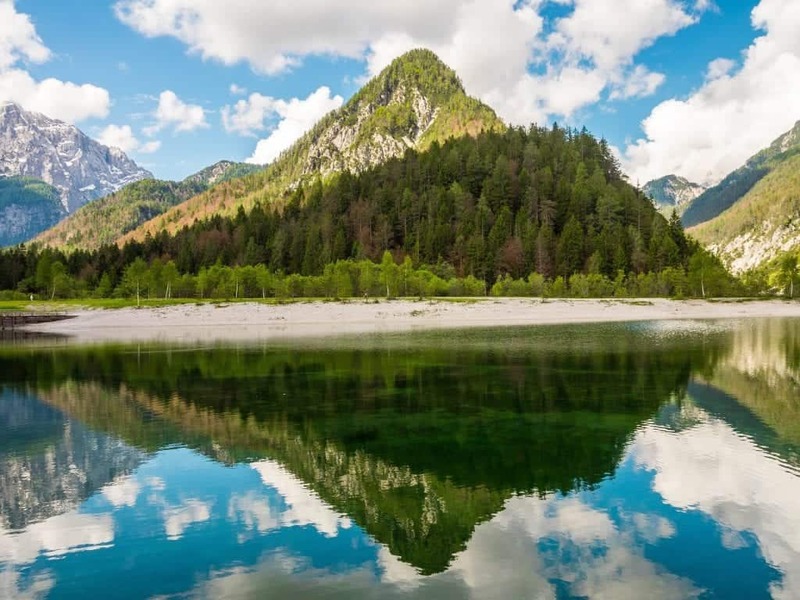 In 2017, Slovenia was declared the world’s most sustainable country according to a research funded by the United Nations. Slovenia achieved a score of 96 out of 100 in detailed sustainability indicators, including climate, environment, culture, and biodiversity. I bet you didn’t know that Slovenia is actually a haven of biodiversity. 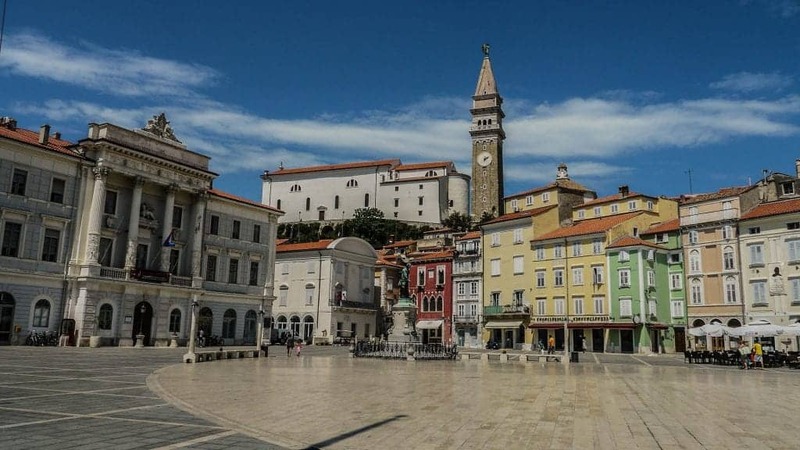 The annual Peace Index ranked Slovenia in 7th place out of 163 nations. The main reason for this are the people inhabiting this country: Slovenians. Most of them are conservative but broad-minded, quiet people with a remarkable level of tolerance. 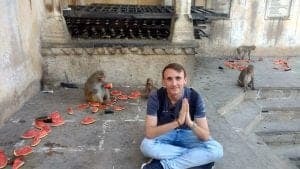 Despite not being as warm and welcoming like some of their other Balkan neighbors, Slovenians are pretty cool once you get to make some friends. After all, they were the ones to build the first FREE beer fountain in Europe in the city of Žalec. Talking about peaceful, check out these hidden islands in Croatia. Not a fan of hiking, but I love mountain lakes and Slovenia’s lakes are just so beautiful, I simply have to visit this country. The sustainable tag only makes it that much more desirable. It sure does, Alexander. Despite being a very small country, Slovenia has a lot to offer. A lot of the features of Slovenia remind me of New Zealand. It looks like they did a great job when Yugoslavia split apart. I am intrigued by the “free beer fountain” and wonder how they manage that. I couldn’t compare as I didn’t visit New Zealand yet but that’s an interesting perspective. And yes, they are doing much better than all the other Yugoslavian countries. Wow, Slovenia has so much natural beauty! Caves, affordable, skiing, and hiking seem like the perfect mix. I have never been to Solvenia! and your post just made me want to pack my bags and leave like NOW! loved the photography and detailed information too. 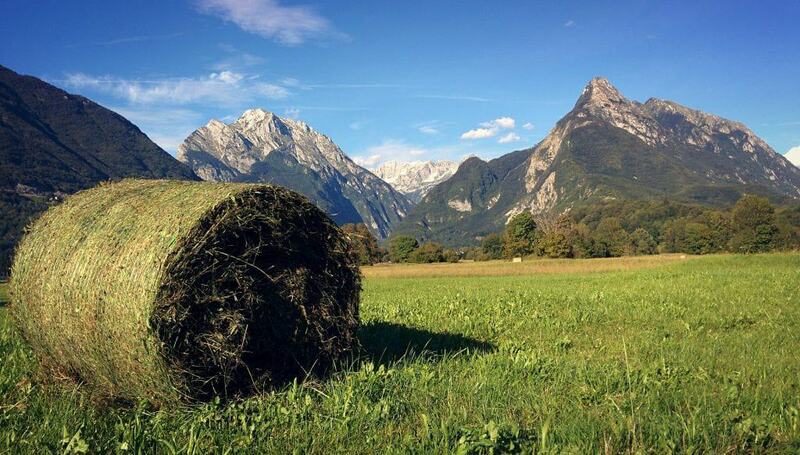 Your pictures are just breathtaking and reflects the ultimate beauty of Slovenia. The landscape is splendid and would love to visit some day in my life! Wow you have really put Slovenia on the map for me! I love summer in the mountains and am learning to snowboard this year too so a visit here sounds perfect! I have never been to slovenia but it definitely seems like a beautiful country from what i can see from those amazing pictures. And the mountains, they look so beautiful. 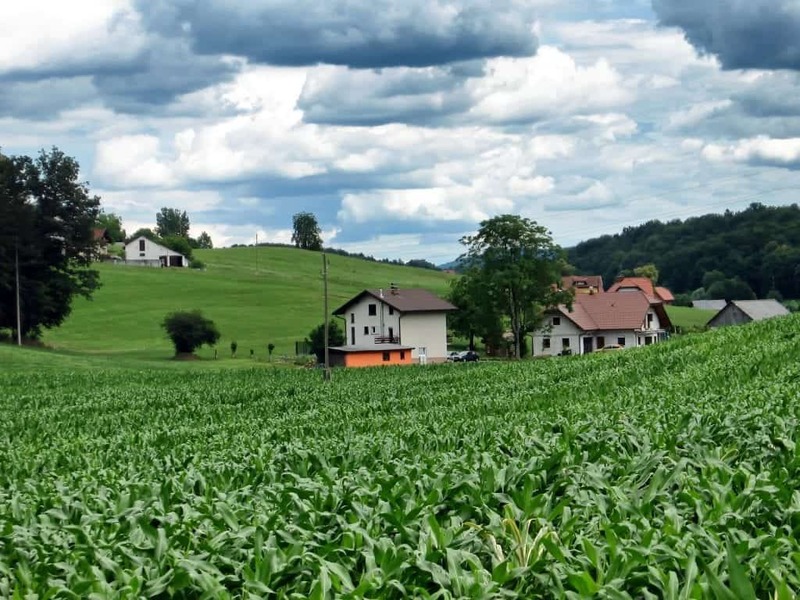 I’ll definitely head to Slovenia and when I do, farmstay it is..
Its a shame that public transport is poor in weekends and veggie food is not easily available as well!